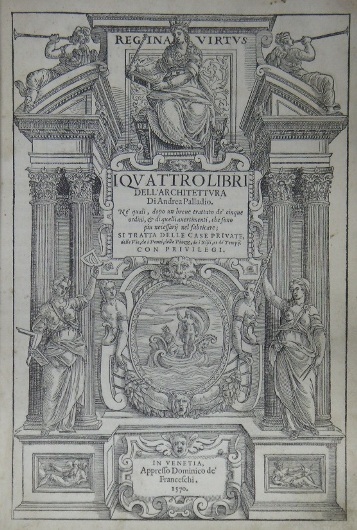 "I Quattro Libri dell'Architettura di Andrea Palladio"
Waseda University Library holds a lot of Western rare and antiquarian books, including incunabula, the earliest letterpress prints produced in Europe. This exhibition shows the books printed mostly in Italy between the 15th and 16th centuries, such as Greek and Roman classics published in the Renaissance days and works of the Renaissance authors like Dante, Machiavelli, Vasari, etc. Besides, we present our collection of Andrea Palladio's literary works, in commemoration of the 500th anniversary of the famous architect's birth.